We know that Americans have a deeply ingrained view of biking as a fun, recreational activity. (The Outdoor Association estimates that Americans spend $81 billion a year on bike-related expenses; airline tickets generate $51 billion by comparison.) I have theorized that this is why some people have such vitriolic reactions to cyclists. It’s like they’re angry that anyone could be having that much fun on their commute, when everyone should be suffering in traffic. With the advent of bike-share, there’s a move towards seeing cycling as a more basic form of transportation, especially in cities. The case for bike-share as transit is getting easier: A forthcoming study from Susan Shaheen and Elliot Martin reports that 40 percent to 55 percent of bike-share trips are work commutes. 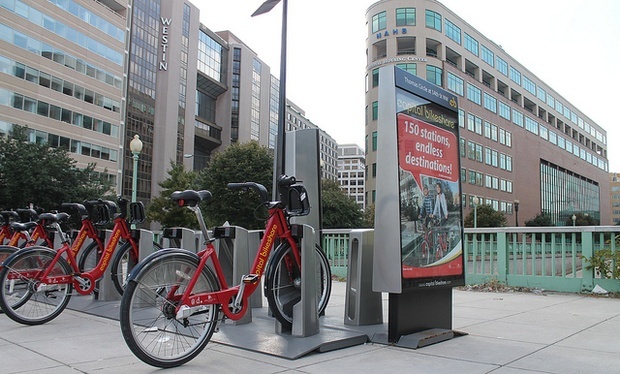 Their analysis shows that Capital Bikeshare in Washington, D.C., has displaced public transit trips—particularly Metro trips in the urban core—thereby increasing capacity on the congested rail network. It also increased transit ridership in less dense parts of the city and in the suburbs, providing a key first-to-last mile connection to rail and bus nodes.